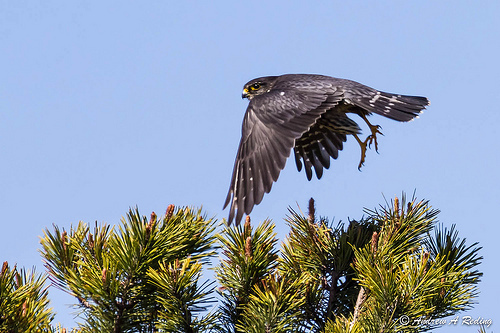 The Merlin is the smallest falcon of western Europe, and is sometimes confused with the Kestrel or Hobby. It is primarily a winter visitor, which breeds in Scandinavia. In autumn it migrates to the south. 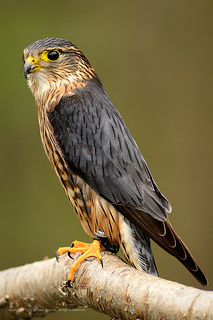 The Merlin is light grey with brown tones, the Kestrel looks browner. The Merlin is slightly smaller than the Hobby. The Hobby has a red vent.